There are many things that you can grow inside a walk in greenhouse, but one thing that no one has mastered yet, is growing money! 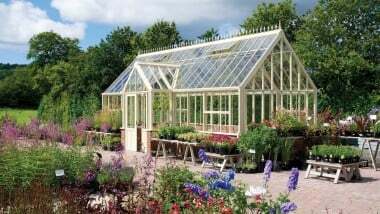 That’s why when buying a greenhouse it’s important to get it right first time, as it’s an important decision. The choice of greenhouses can be truly overwhelming, especially with many low quality products on the market it can be a daunting time for many. At Hartley we rely on the reputation of our greenhouses, and the quality of our service. If you are new to Hartley Botanic, we strongly recommend that you extensively compare our models with comparable greenhouse companies. And while we cannot grow money in greenhouses, once you have researched and compared, you will have the confidence to invest in a Hartley Botanic greenhouse. This is why we believe that we manufacture the finest greenhouses that your money can buy. What technical features you require in your greenhouse? How much power will you need in the greenhouse? What greenhouse colours are available?